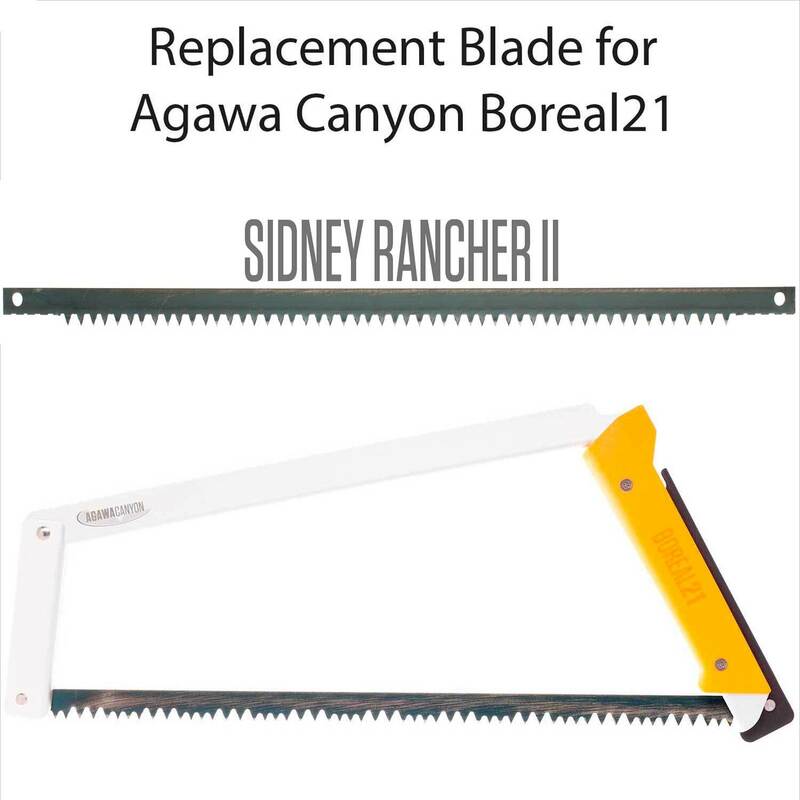 The Sidney Rancher II is custom designed and favoured by those seeking an extremely aggressive and long lasting blade. 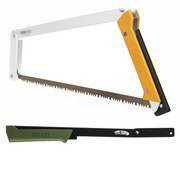 Long sharp edges in a unique pattern of large teeth provide aggressive cutting. 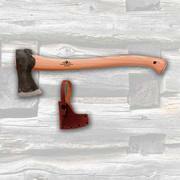 This heavy gauge blade will plow through wood. 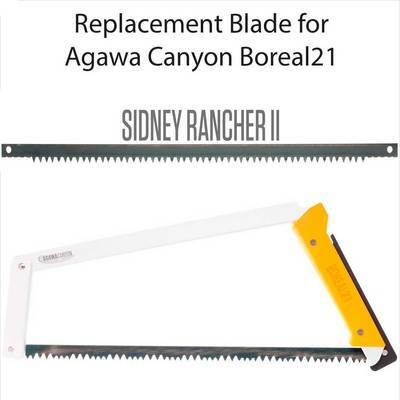 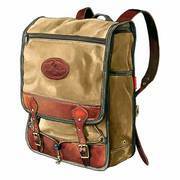 Locally made by craftsmen the Sidney Rancher II features hardened points and push/ pull cutting action.